At St. Isidore we know that we all need a way to connect with God beyond Sunday, and when we say that we're "more than just a church," this is our answer. Take your faith and church with you no matter where you go! 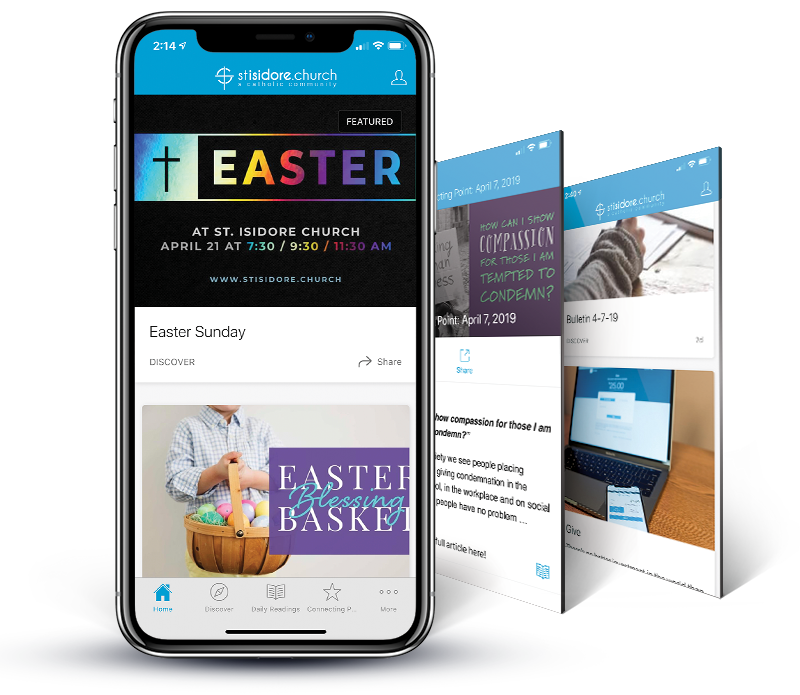 Our church does such great things that we thought we needed our own app! No more using a generic app. We now have our own standalone app that you can download in the App Store and Google Play Store today! Know what it does... so you will use it! 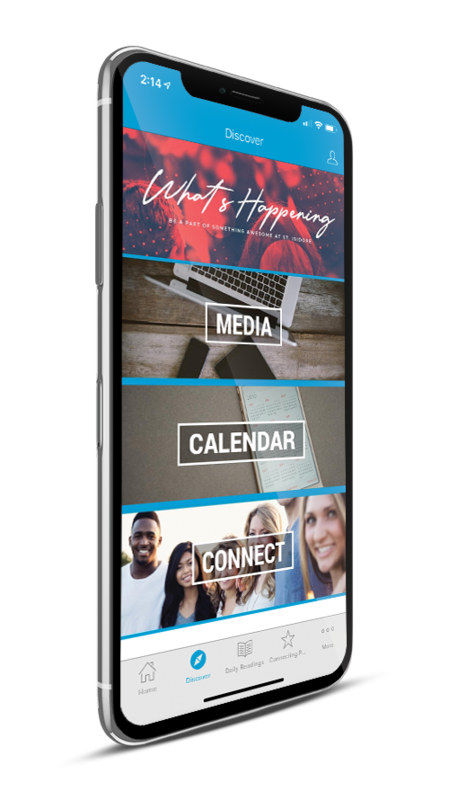 Be the first to know and sign up for events, read great spiritual content like our Connecting Points, get one tap access to simple giving, and more! New events and content are added here first. Get exclusive access! Know which priest and musician will be at your Mass this weekend, get sneak peeks, and interact with us through push notifications. No need to carry a checkbook when you have quick access to our class-leading e-giving experience. No need to download the bulletin or wait until Sunday to read when you can get quick access to all content in the app first. With custom profiles, the apps personalized for you! *Daily readings currently requires daily update as is in beta. Take St. Isidore Church with you in your pocket!